There is a fine line of AMG tuned Mercedes car in the market. And the A-class is soon to join the race, or so is the plan of the Stuttgart based carmaker. If only it were so easy. The AMG has expertise in tuning large displacement engines under small sized bonnets. Nevertheless, Mercedes has another division that brings the most out of compact powerplants. This is not the ordinary Mercedes engine-tuning unit; it’s the division that builds the engine for F1 teams. The McLaren, Force India and Mercedes F1 are housing engines tuned by this unit. This is an English firm by the name High Performance Engines (HPE). It happened to have been run by Ola Kallenius until he switched over to AMG. Though this is the first road car project for the division, the 2013 FIA engine specification was for a four-cylinder turbocharged engine. And the A-Class is also housing a four-cylinder turbocharged engine, which the division may have exercised already. Now that the four-cylinder powerplant is replaced by a V6 by the FIA, the A-Class AMG might just come with a new high output engine. This V6 is being designed to deliver a peak of more than 335 horses, above the Audi RS3. 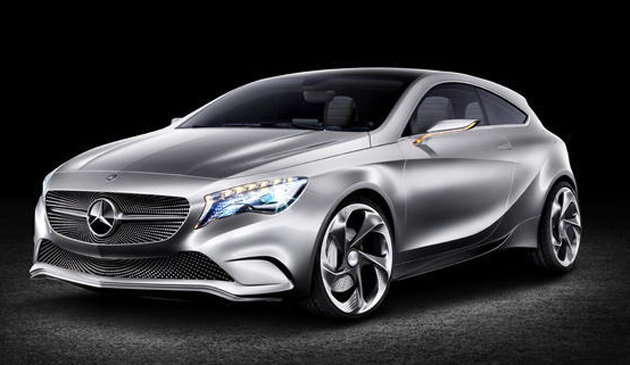 The CLC25 AMG is the next coupe to house this powerplant. With this new improvement in the A-Class, Mercedes have raced ahead of Focus RS, Golf GTi and Renault Sport in hot hatch segment, with the Audi RS3 to challenge the new AMG.